Discovering Galapagos Connect goes live! Welcome to Discovering Galapagos Connect, a bilingual blog connecting teachers and students from across the UK, Ecuador and the Galapagos. There will be lots of exciting content aimed at both teachers and students so check back regularly. Here you will be able to hear about the latest Galapagos news including updates from scientist in the field, conservation projects in the Galapagos and what the Galapagos Conservation Trust are currently doing. We will feature updates to the Discovering Galapagos website, new resources as they become available and exciting ways for schools to get involved with the project, including class competitions, ways to showcase your Discovering Galapagos school work, interactive quizzes and class fundraising ideas. There will be an opportunity for the whole class to interact directly with scientists working in conservation and on the Galapagos Islands through Q&A sessions, videos and skype calls. If you are a teacher, you will have access to a teachers-only zone where you will be able to interact with other teachers of the Discovering Galapagos program and share your resources, experiences and tips for using the Discovering Galapagos website. Keep up to date by signing up to our newsletter. Remember to like the Galapagos Conservation Trust on Facebook and follow us on Twitter. We are always looking for ways to improve the resource and really want to hear from you – please submit your comments using the ‘Contact Us’ link above or email projects@gct.org. P.S. Did you know you can use the flag icons at the top of each page to switch between English and Spanish? Try it out! 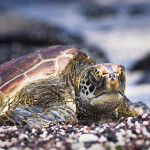 Categories: Discovering Galapagos News | Tags: Blog, Discovering Galapagos, Discovering Galapagos news.